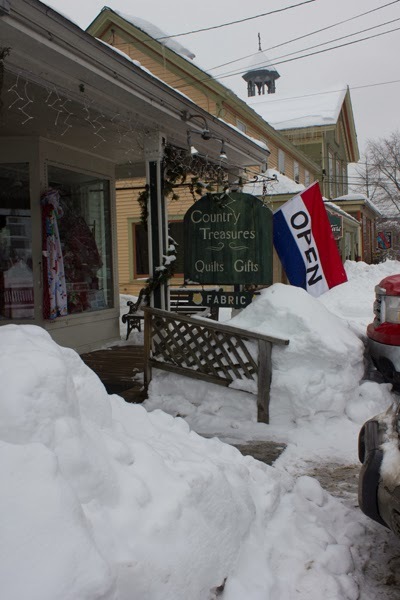 Come with Hannah and I as we brave getting out in knee-deep snow to go to Country Treasures, our closest quilt store in Chester, Vermont. Of course we have already been there and are back home but we will take you all with us there in pictures! 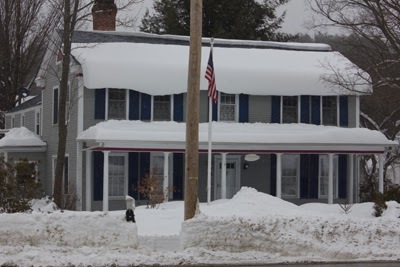 I understand that Florida is the only state that doesn't have snow right now, but many of you don't have as much as we do and we would like to share our wealth of this white stuff with you so that you can also share our great-escape feeling as we traveled over an hour away from our home in Castleton, Vermont to get to this destination. On the way we said hello to the small towns and ski areas that are represented right now in Sochi at the 2014 Winter Olympics. Remember my Cabin Fever Busters and item number seven: getting exercise by shopping? Well, I have to admit that this wasn't the place to get much open floor space to exercise as this store is filled with great quilting fabric, notions, patterns, books and even classes and live students demonstrating the old-fashioned art of quilting, but it proved to be a great place to roam and find all sorts of treasures! 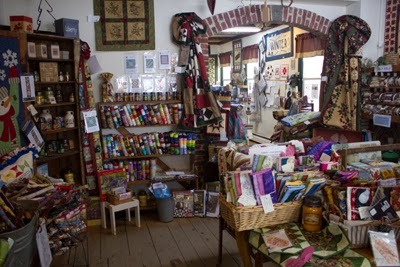 Located in Chester, Vermont, Country Treasures appears to be a cute little country shop, but outside appearances are deceiving as it meanders in all directions including upstairs, and every nook is filled with interesting fabrics and fabric kits all rolled up and cutting areas everywhere! Quilters and sewers are enamored with such shops and love to spend snowy or even sunshiny afternoons browsing and doing some serious shopping. 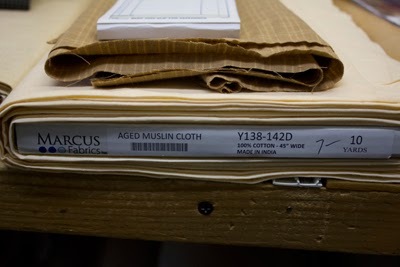 I set my budget and only went $4 over, though, I also came home with their telephone number, fabric names and numbers so I can pick up my phone and order fabrics and have them sent to me!. It seems like forever since I have pieced a quilt, though it has only been a couple of years, if that. I wasn't going to allow myself to pick another pattern or more material until I finished the ones I have started, but when "busting cabin fever" with several more months of winter to go, it's important to be real. 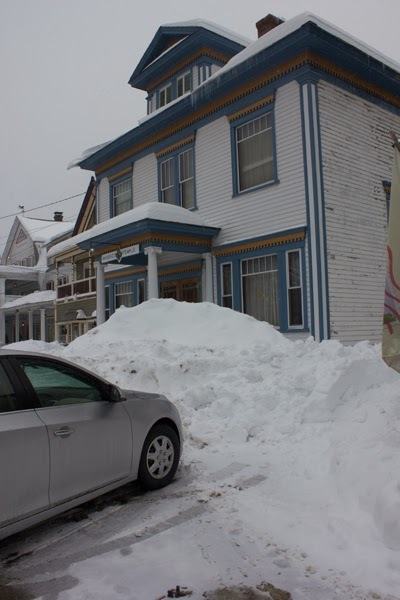 Serious problems could arise if snowed in without fabric! I have Hannah tied and gagged to prevent her from telling you that my basement looks like a fabric warehouse that years of sewing will hardly put a dent in....BUT I am charged to prepare and cut several quilt-in-a-day quilts, though I am getting older and have become realisitic which means that perhaps weeks from now, I will have a quilt top cut and sewn and ready to do another if I am lucky! I must confess that my name is Jane and I am hopelessly addicted to material, cutting and sewing and any withdrawal could be very severe! Ask any sewer if they can have too much material? I had brothers who couldn't have enough Matchbook cars when they were boys, and one collects motorcycles now! So it is with me and material! I am not sure why, but it seems that whenever I go to purchase material, there is someone in the shop that is self-righteous about their material stash, saying that they aren't allowing themselves to buy any more until they use up what they have. I have to wonder why they are there then, and what pleasure they find in pricking my conscience with the reality that I already have a shop within my own home. These sorts of trips are my great escape and if I wanted reality I would be at home stitching on what I already have. Another quilter assured me that five quilts to finish is quite do-able and that I should start five more at least, before becoming overwhelmed, and assured me that I was a normal sewer/ quilter with my love of fabric and inability to saturate my need for more! I arm myself with a ready defense to those self-righteous-sort and say, "I love and enjoy my materials and plan to cut up as much of it as I can before I die, though I promise to keep the pieces together so those after me can finish them! I have already planned The-Celebration-of-My-Life-Party instead of a funeral. Sewers and quilters will be invited to my house for a great estate sale, and my treasured collection will be sold and shared with those kindred spirits that love materials and threads as much as me." I then tell them of the greatest estate sale where I was the recipient of 18 garbage bags full of wool for my last $200! I add that I DON'T plan to downsize, but rather up-size, keeping my head spinning with fabulous fabrics, designs and busy fingers until I die and hope I am like Grandma Moses and live to be 104! Having perhaps another forty more years to sew, I might run out so, I'd best get some more! So come take a peak, and enjoy the sites, but watch out for though this shop looks small, it is like Dr.Who's Tardis, in more ways than one. It is much bigger on the inside than the outside! It is a long and skinny building and it is easy to get lost, traveling through time and space as you wander through the rooms so carefully organized, like-colored fabrics or like-fabric types, as well as rooms of like-period sorts of fabrics, from civil war to retro to modern day materials! Specialty fabrics and nooks of notions, patterns and samples abound to titillate your imagination! I got my exercise after all, traveling from room to room and then through them all again! My cabin fever has been busted! Let it snow and snow again!! With a few new fabrics as well as my old ones to get snowed in with, my world is big and wonderful! Watching the Winter Olympics will satisfy my need for ice and snow as I quilt away! So do come join the fun. Don't sew? Doesn't matter! Just enjoy the trip in your armchair and come along for the ride! Epiphanies, The Beginning of a New World!